This is something that I hear a lot about. 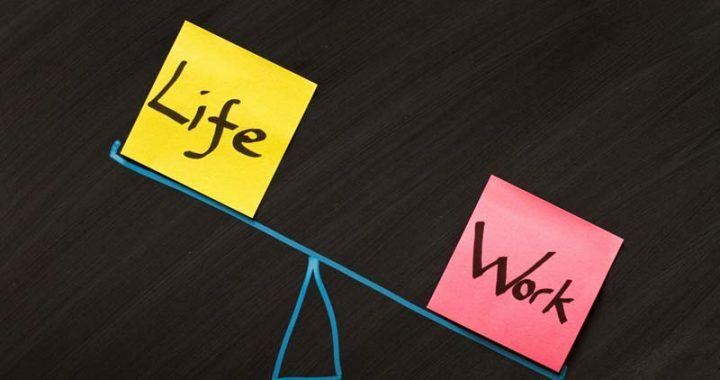 Many organizations, in the human services world especially, promote a healthy work-life balance, but what exactly is it? And do you have it? Most people I come across do not have good work-life balance. Instead, they have a work-life and an exhausted-just-surviving-life balance. 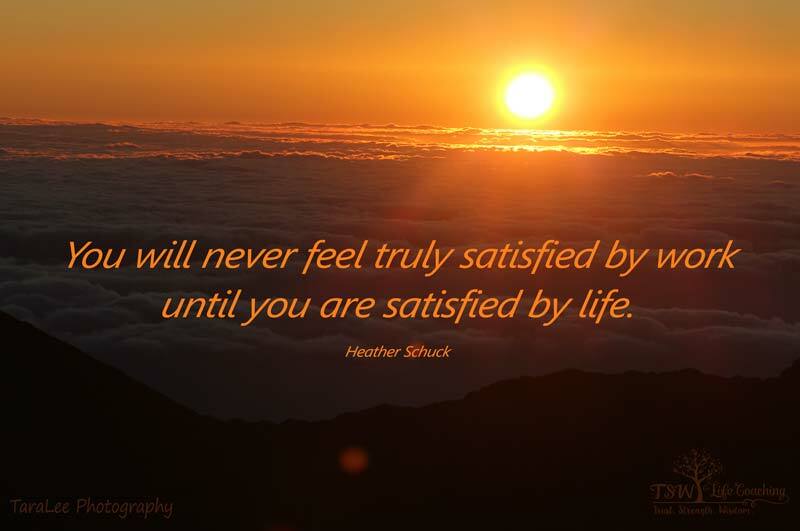 So many of us over identify with our careers and we feel that this is the way to a happy life. Now is the time to get the promotion, get the raise, get the accolades, then later when you retire or take a holiday, you can have the life balance. The thing is, this is not healthy. We cannot put our lives on hold or just survive in our lives for the sake of our careers. Our lives are lopsided with a ton of our energy going to our jobs and that means there is little energy left for all the other areas of life. As a result, relationships, family, ourselves, all suffer for the sake of our careers. When we put our lives on the back burner we tend to cause ourselves a lot of grief. We feel guilty because we are not totally there for our family, friends or ourselves. We feel guilty and we shame ourselves about not being a good mom, not having a clean house, being a sucky friend, being a distant wife, being a busy Aunt. We feel guilty and we say things like “there is not enough time in the day”. We try to placate ourselves stating “Things will get better, I just need to do (this) to get ahead, to get the promotion, or get the raise, then I will have time.” This doesn’t usually do too much to quiet the voice in our heads that is telling us we are sucking at life outside of work, that we should be more social, should be a better mother, daughter, wife, should be a better friend! It’s a vicious cycle really. The more guilty we feel, the more we turn to our careers because at least there you don’t feel so inadequate. At least there you are not feeling so guilty and shameful! It is no longer a career, it becomes who you are. I know, I am guilty of that! In the past, I was Tara who was a human services worker not Tara who worked in the human services. Can you relate? We are not our jobs! Yet so many of us feel we are. I think we get this way because we pour so much of our energy into our jobs that we feel it is who we are. Now I am not saying that it is bad if you love your job but when you are your job then that is unhealthy. If you sit and ask yourself ‘Who am I?’ and all you can come up with is your career, then that is unhealthy. You are so much more than that! The more we over identify with our career the more we feel we need to push ourselves to do better. Because now it defines us, so we better do a good job. This is when we work longer hours, we take our work home with us (maybe not literally but mentally), we focus all of our energy on work. This puts us in a very risky place. If, for some reason, we lose our job, or can no longer do it, we are faced with an identity crisis! Who am I if I am not a nurse, accountant, social worker, therapist, etc. The thing is, you are more than that, but you have created this imbalance and your life is work! When we do not create a balance between life and work we do not give ourselves time to decompress. We are stressed all the time. We feel overwhelmed and exhausted because we are not giving ourselves the time we need to relax and enjoy life. Instead we work 8 hours or more, then come home and our mind is still working – not to mention the guilt that I already spoke about is causing even more stress. When we do take time for self-care (if we do) it is half-hearted and there is guilt that we should be doing something else. This is incredibly stressful and takes a toll on our health both physically and psychologically. 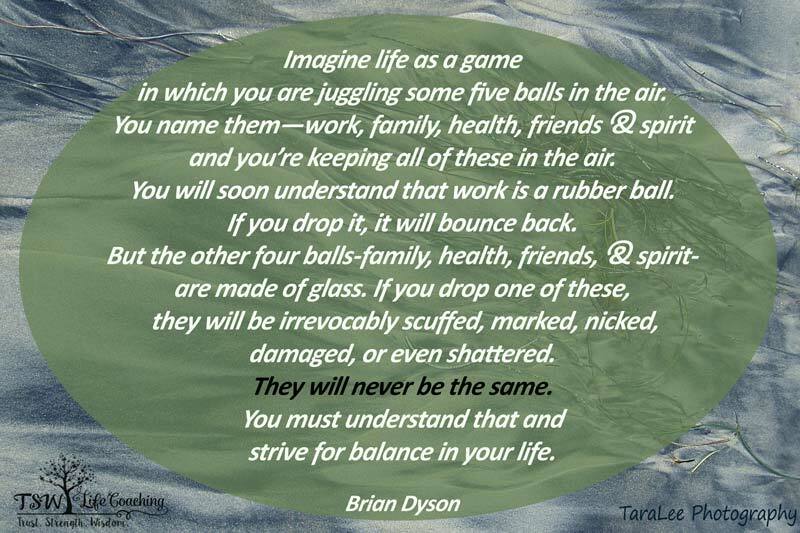 We need balance to be healthy, we need balance to thrive in life! Are you recognizing yourself in some of these? If so, you are not alone. Our culture focuses on our careers. What is one of the first questions you are asked when you meet someone? 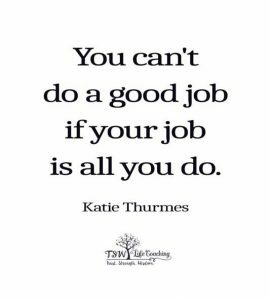 Usually it’s “What do you do?” We are taught that there is value in certain careers and that our careers are important. The thing is, that is only a part of who we are. I challenge you this week to honestly look at your life and ask yourself “Do I have a work-life balance?” Or is my life lopsided? Tune in next week for some healthy ways to bring balance to your life.